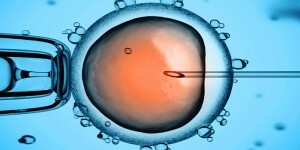 The first In-Vitro Fertilization (IVF) baby was born in 1976 in England. Today Louise Brown is a happy Mom herself and IVF has been used safely and effectively to help create families. IVF improvements dramatically increased pregnancy rates helping millions of patients around the world to get pregnant and have children. IVF is the most successful treatment today, and although originally IVF was designated to treat tubal disease, In-vitro became the number one therapy regardless of what is causing the couple’s infertility. Older patients should consider foregoing conventional therapy (e.g. Inseminations) as they benefit more from having IVF as their primary therapy. 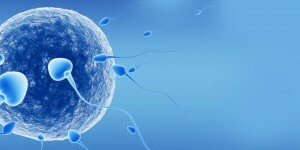 The IVF baby is ‘conceived’ in the laboratory ‘test tube’ where the woman’s egg is fertilized with her husband’s sperm. Fertilized eggs are placed in the incubator and kept there under optimal conditions. 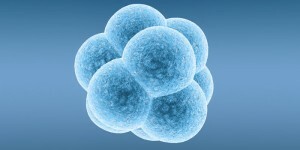 Fertilized eggs progress into multi- cell embryos. Some embryos are placed in the women’s womb (uterus). After transfer, best embryos attach to the uterine wall and complete implantation process forming pregnancy. Early placental tissue begins to produce pregnancy hormone easily detected by patient’s pregnancy test. Positive pregnancy test validates successful treatment. An IVF baby is a very special gift for all patients and their families who underwent difficult journeys to become parents. 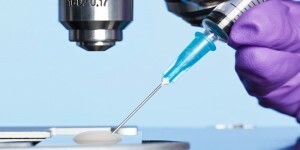 One in every 60 babies is now born after IVF treatment.